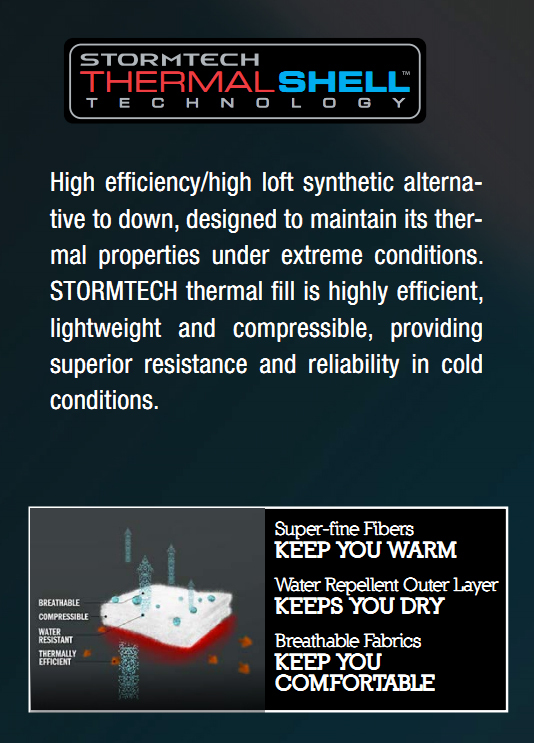 STORMTECH H2XTREME™ uses cutting edge technology to provide maximum protection from the elements. 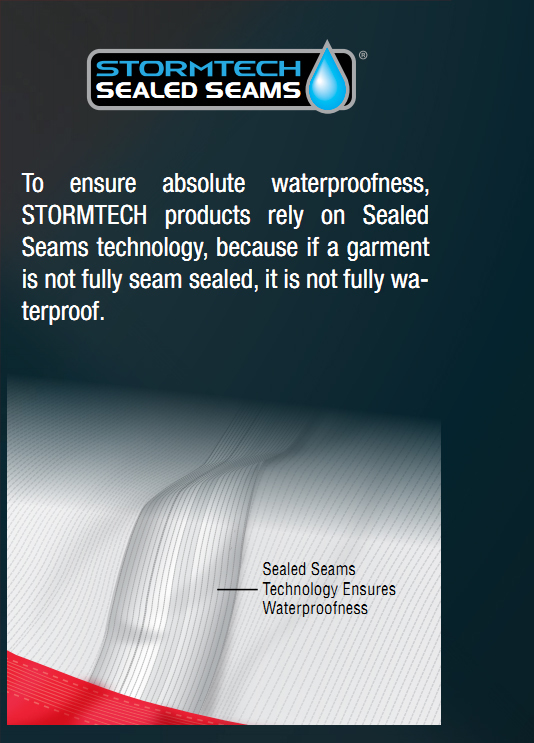 Fabrics are rendered impervious to water by having a microporous membrane bonded to the interior panel of the outshell fabric. Like the pores of one’s skin, rain drops cannot penetrate through – but perspiration vapour readily escapes. 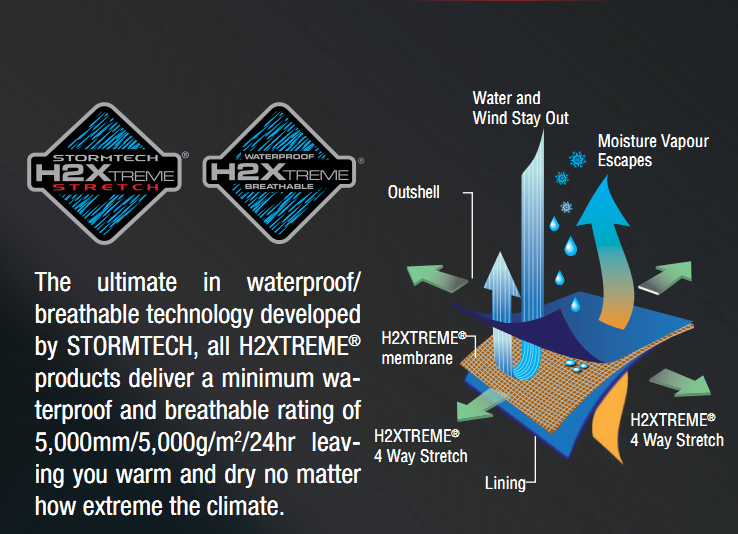 The H2XTREME™ collection ensures waterproof protection of AT LEAST 5,000 mm. This means that if all of the rain drops hitting your jacket could stack on top of each other – they would have to stack up to at least 5 meters before the water could exert enough pressure to soak through and get you wet!